He brings highly valuable skills to organise and consolidate the existing and new business units of the manifold Mexican company. Playa del Carmen, Quintana Roo / Munich, March 21, 2018 – The Chilam Group announced that Daniel Ponce-Taylor has been named Executive Vice President. 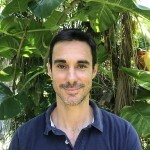 Daniel brings 15+ years experience as a senior manager in established eco/alternative tourism companies and brings critical experience in setting up, managing and marketing non-conventional tourism operations in remote and protected locations around the world. “We are very excited to welcome Daniel to our team. He brings a wealth of experience and key skills to our organisation. We look forward to him helping us consolidate our existing and new business units and greatly contribute to overall growth at the company. I know our customers and business partners will enjoy and benefit with this change.” – Javier Salas, CEO. Daniel´s decade-long experience in setting up and managing volunteering and conservation expeditions with GVI World globally will greatly benefit TCG´s operations in off-the-beaten-track and highly protected locations. 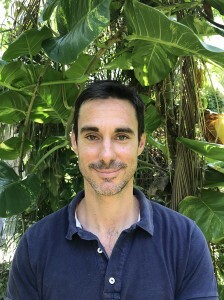 Daniel will be taking over day-to-day operations at TCG including Yucatan Dive Trek, XTC Dive Center, Maya Blue Dive Center and Dark Zone Diving; including marketing, business development, managing B2B partner relationships, sales management and operations. Text: He brings highly valuable skills to organise and consolidate the existing and new business units of the manifold Mexican company.